This Is Family Movie Night, I Have To Defend It! 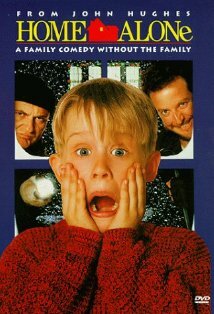 With 15 people rushing around before the Christmas trip to Paris, Kevin accidentally gets left home...alone! He has fun thinking his real family has just disappeared but things get crazy when he finds out there are burglars after his house and he's the only one there to defend it. *Kevin gets frustrated when he doesn't get any cheese pizza, so later he orders a whole one all for himself. 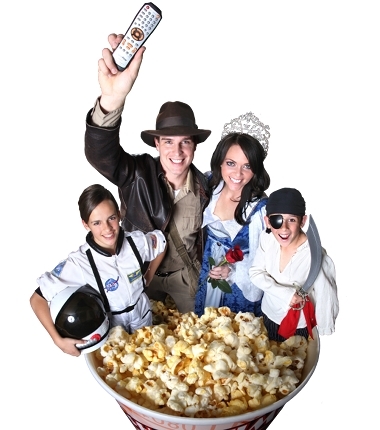 Order some pizza for your family to eat while they enjoy the show. *Kevin makes himself one crazy ice cream concoction while his family is gone. Have an ice cream sundae bar with all the best toppings! *When Kevin's Mom calls the Police Station, the officer is snacking on a doughnut. You and your family could enjoy a few doughnuts along with your pizza and ice cream! * When Kevin goes to see Santa, Santa is out of candy canes so he gives him Tic Tacs instead. Pass the little breathe mints around when you're all done with your dinner and snacks. *When Megan is counting heads, stop the movie and sing a couple versus of 'The Twelve Days of Christmas'. Better yet, see if you can come up with your own version of the song to fit your family and their wish lists. *Kevin is notorious for his scream. Have everyone take turns making the Home Alone face by putting your hands on your cheeks and screaming. Take pictures and see who looks the most like Kevin. *Kevin shows off his lip-syncing skills with the song 'I'm Dreaming of a White Christmas'. Show case your familie's lip-syncing abilities with your favorite Christmas songs. You could even air guitar along with them and have a whole family rock band. *Kevin made Christmas ornaments out of his Dad's new fish hooks. Make your own Christmas ornaments with fill-able clear ornaments. You can put confetti, glitter, candy or even fish hooks inside for decoration! 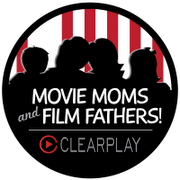 Check out Movie Mom Launi's blog for more details. *Kevin has some pretty intense and unrealistic ways to defend his home, be sure to talk to your kids about smarter ways to keep themselves safe when they're at home with or with out you. This movie is silly and supposed to make people laugh, but kids should know real ways to keep themselves safe.